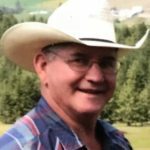 We regret to announce the passing of Joe Bedard of Heffley Creek, BC, on July 19, 2018 at the age of 70 years. He is survived by his loving wife Evelyn; their three children Tammy (Brad) Atkinson, Dawn (Leo) Huber and Michelle (Jamie) Galt; grandchildren Dawson, Amanda, Seth, Jorja, Sebastien and Norah; brothers Jim (Loretta) and Larry (Lynn). Joe was predeceased by his brothers Al (Sheila) and Eugene. Joe was born May 29, 1948 and lived his whole life ranching in Heffley Creek, BC. Our hearts are breaking for you all. This happened much too soon in all of your lives. Joe has been such a large part of our Heffley Creek world, it simply isn’t going to be the same without him. Our thoughts and prayers are with you all. We are thinking about you, Evelyn and family, as you grieve your loss and remember all the times you have shared together. We will miss Joe patrolling the back roads in our neighbourhood, checking on his cattle and mending fences. Blessings to all of you. Thinking of you Evelyn and Family. We are so sorry to hear that you have lost Joe. It was such a pleasure to meet both of you and we were hoping for another visit to share more stories from “way back when”. Jozef and I send our thoughts and prayers to you and your family at this difficult time. My heartfelt condolences To Evelyn and the other family. I got to know Joe when i spent two weeks in the Hospital in the bed next to him. Which I have done everyday since then. We had many good conversations together. I can imagine how much you miss him. I will pray for you to receive strength and comfort during this difficult time. I am Evelyn’s second cousin and I grew up in Heffley creek with my 3rd cousins. Joe was always happy. I will always remember him that way. Maybe that’s what was instilled to me this day growing up being around Joe and Evelyn, was a happy time of my life. Thinking of you all at this time. Love you all. One day we will meet again “Joe bedoe” but until then I have a lot of living left to do. Love Callie. Hello Evelyn, I meant to send this days ago, but since Joe’s passing I think about him often. We played hockey in our junior years in Heffly and could never catch him.sorry for your loss. My condolences to Evelyn and family. So many many fond memories of Joe…up in the bushes with him and one of his beloved dogs…or running the mail up in the back hills for miles and miles and miles while listening to Joe’s raspy voice tell me stories about the people who lived up in those beautiful valleys. So many more stories. I fell out of touch with Joe and Ev in the eighties…and that is one of my regrets in this life…they were / are such beautiful people. Always willing to share their home, their food…their friends. Blessed be those who work the land. He was one of the good ones. Evelyn and Family. So sorry to hear that you have lost Joe. I remember going to the auction to pick up a cow. We had some good times together,like doing the mail route. Our condolence to you and your family.